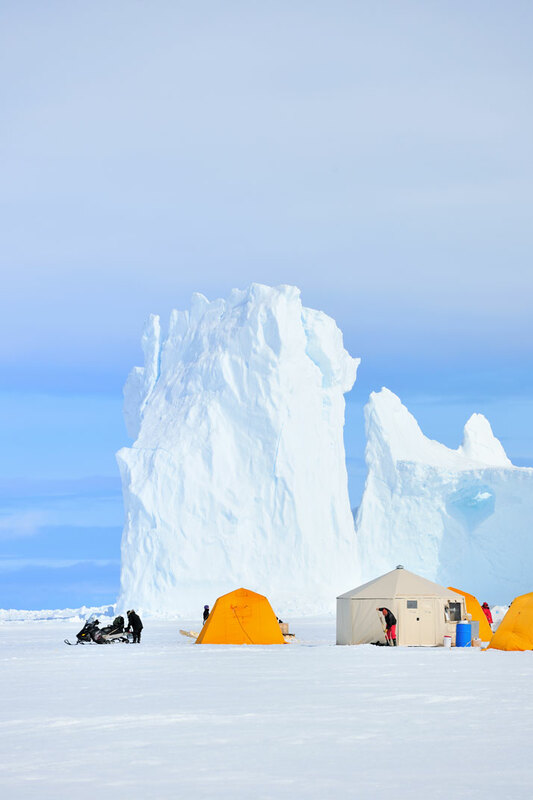 Expedition cruises or ski trips to Spitsbergen, camping on the ice cap of Greenland, adventurous explorations of Siberia… Nowadays, the intrepid traveller can’t ignore that the Arctic regions are opening up. Arctic Canada, Baffin Island to be precise, in the province of Nunavit, also belongs to this category. I am here to experience what it’s like to camp and live on the Arctic ice for 6 days, beneath the midnight sun, stationed next to towering icebergs that majestically emerge from the frozen, white ocean. 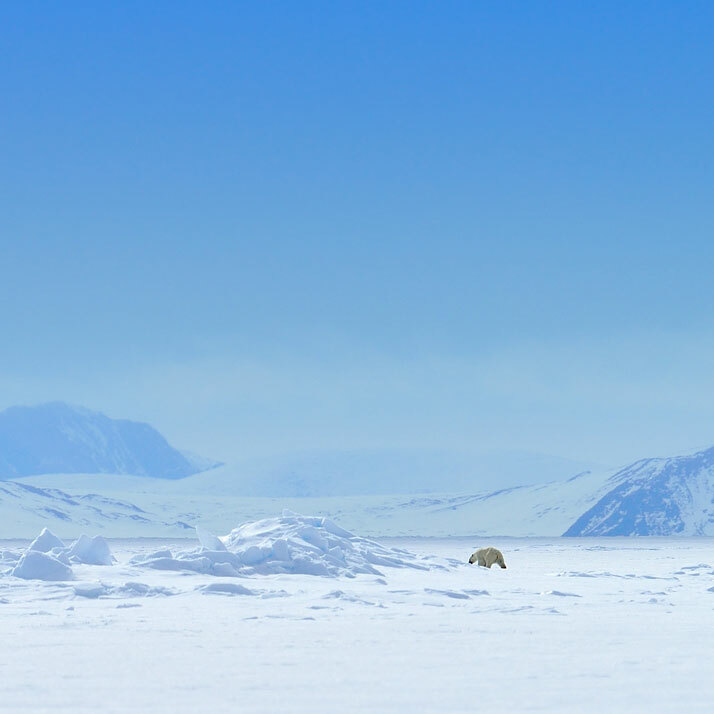 After 3 flights and 10 hours of travelling, our group of nine connects in Pond Inlet, a small hamlet in Nunavut, located on the northeastern shores of Baffin Island, 72° North. Pond Inlet has just over 1000 inhabitants who are mostly of Inuit origin plus a mix of ''Southerners'' living and working here. It is a tiny, somewhat peculiar community consisting of a couple of small hotels, no restaurants, two shops and no bars because Pond Inlet is dry: alcohol is forbidden, alas for me, even for visitors. 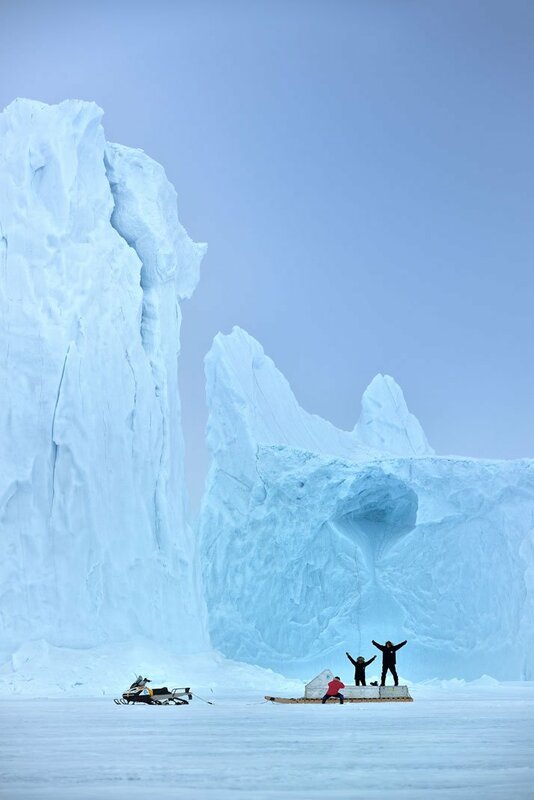 Bylot Island, the northern end of Baffin Island in Nunavut Territory, Canada. 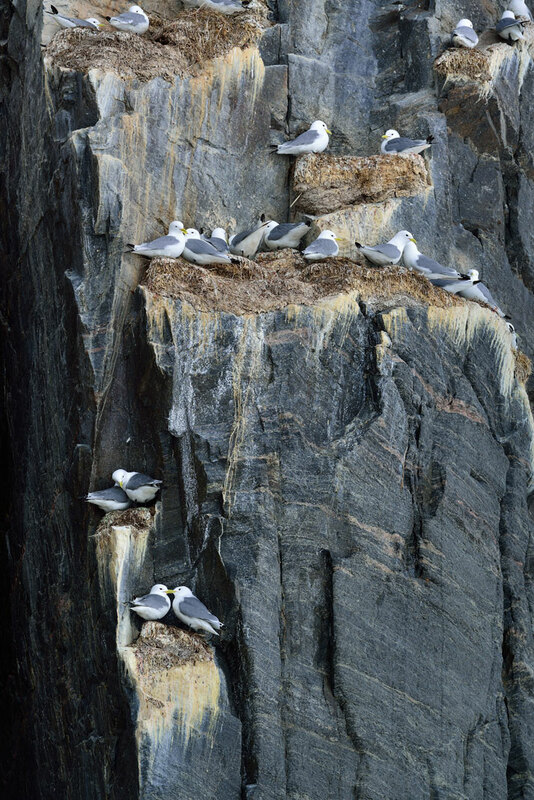 Nesting seagulls on the bird sanctuary of Bylot Island. Bowhead whale feeding under the pack ice. 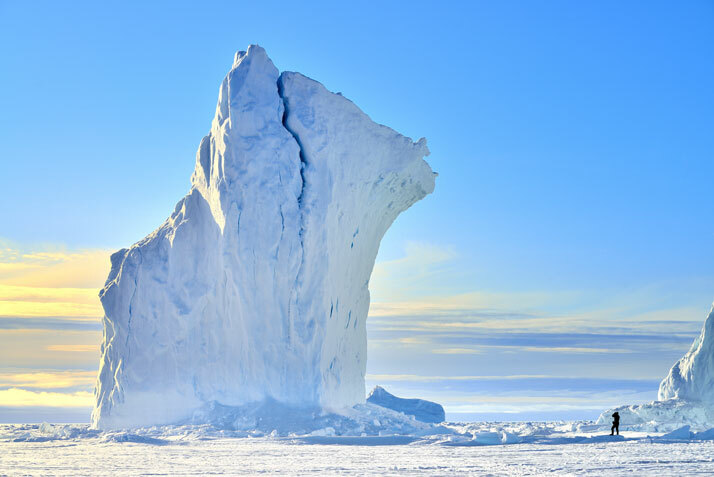 During the summer months, the air temperature in the Arctic swings between just below zero and five degrees Celsius, depending on the wind chill. 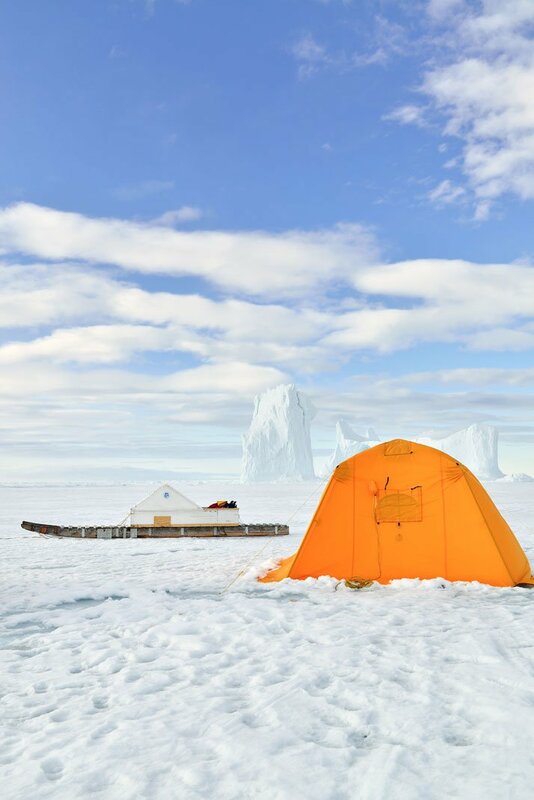 Furnished with real beds, plush linen and even a small heater for when temperatures plunge during the clear, midsummer nights, inside my bright yellow, Arctic Oven tent there is enough space to stand upright. A short distance away, a large marquee contains a hot shower and toilet. Another tent, much larger, is where everybody meets and where the kitchen and mess are located. 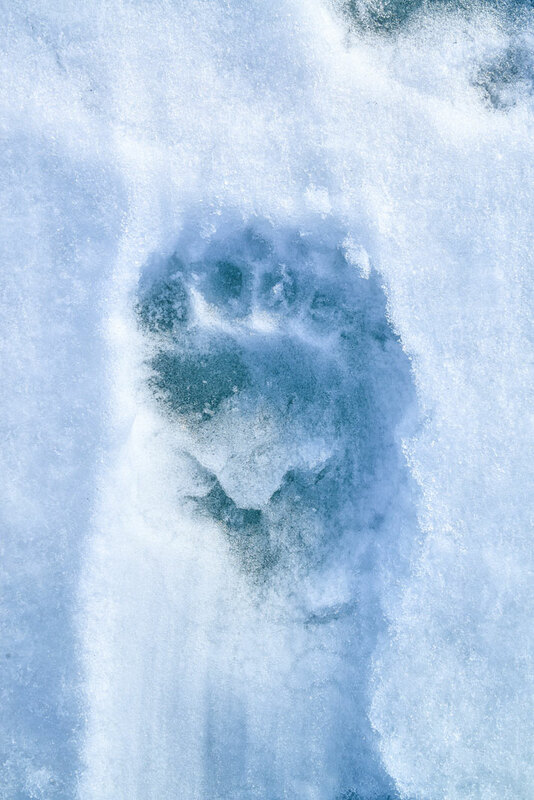 Canadian Mike Bedell, our charismatic expedition leader, Arctic connoisseur and renowned wildlife photographer, is the quintessential outdoor expert. 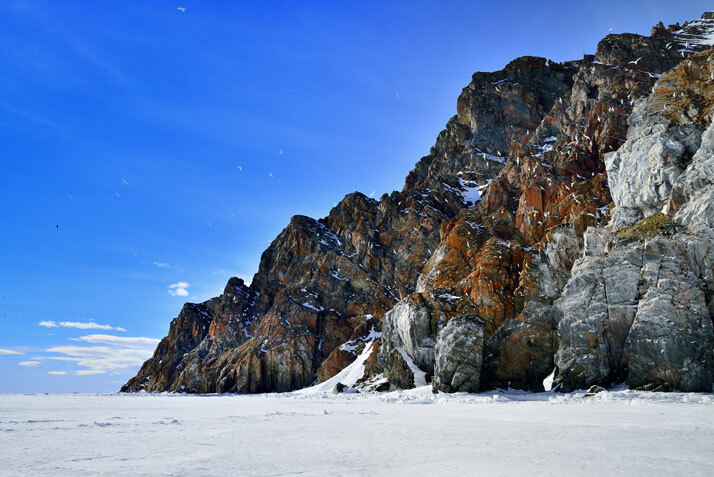 Over the course of my stay, on a windless evening, he takes us to the floe edge for the first time, a 15-minute snow scooter ride away from the base camp. 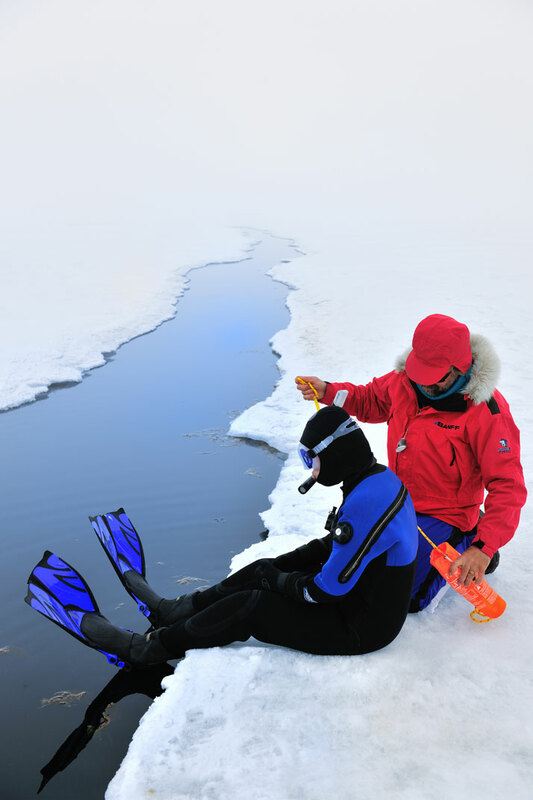 At the floe edge, Mike drops a hydrophone into the icy water so that we can hear the outlandish sonar sounds of whales and seals below the surface. On our last day in this frozen world, the sky is covered in eerie black clouds; the air is cold and the top layer of ice looks and sounds like the crust of a crème brûlée. 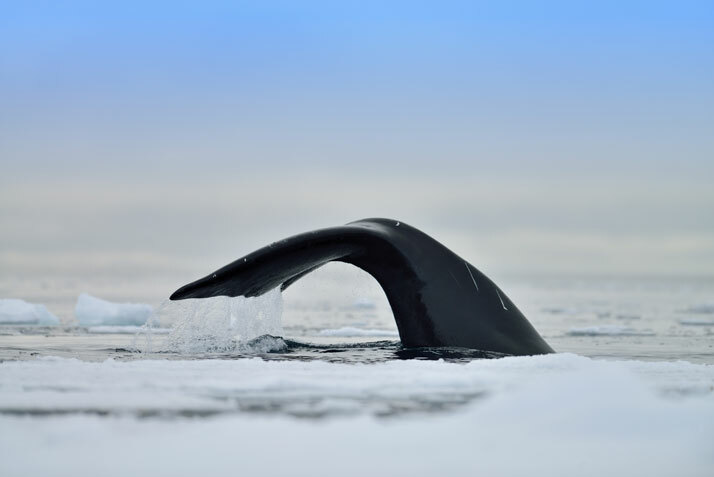 Back on the floe edge, we get very close and personal with a giant bowhead whale. 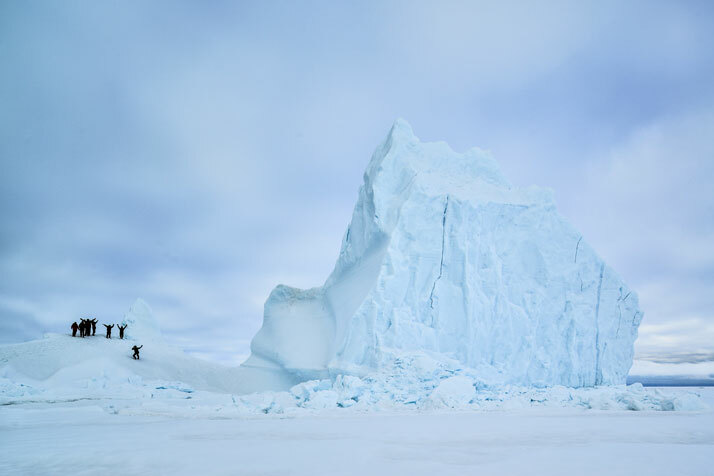 The animal is feeding just below the pack ice, right next to the edge where we are standing. Every ten minutes it sticks its massive head above water to gasp some air, while looking at us inquisitively. Incredible. What else is there to say? 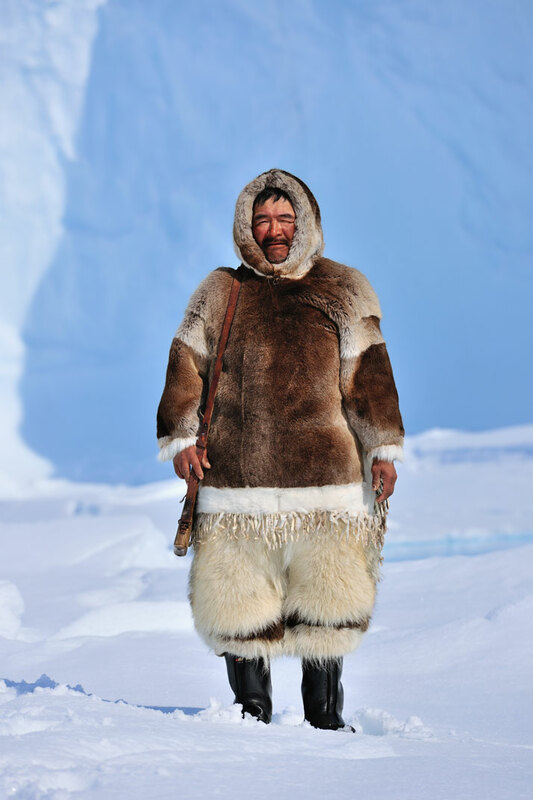 Despite my huge Canadian Goose Down jacket and 5 layers of clothing underneath, the Arctic has already gotten under my skin. I will be back.